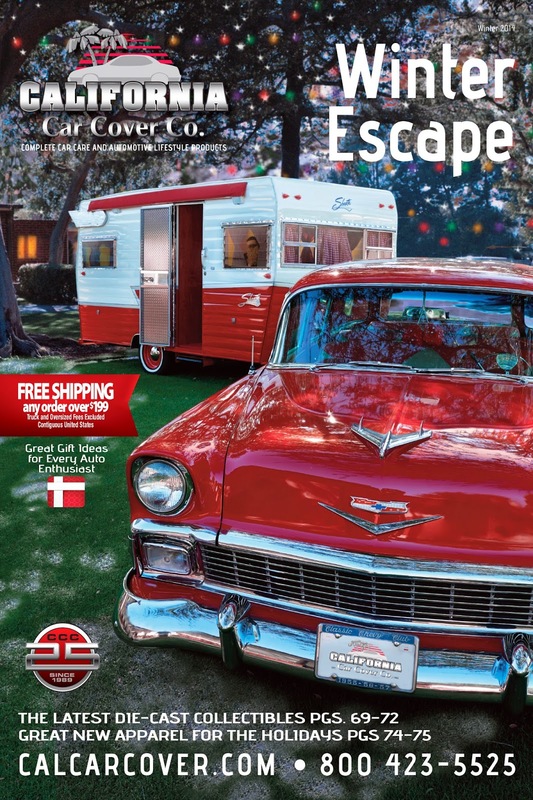 The December edition of the California Car Cover catalog features a 1956 Chevy Beauville Station Wagon with a matching 1965 Shasta Airflyte trailer. We thought this wagon and trailer would be the perfect "Winter Escape" vehicle for Santa Claus. The wagon and trailer belongs to the Kleckner family from Southern California and we were thankful they were able to assist us with our holiday photo shoot. 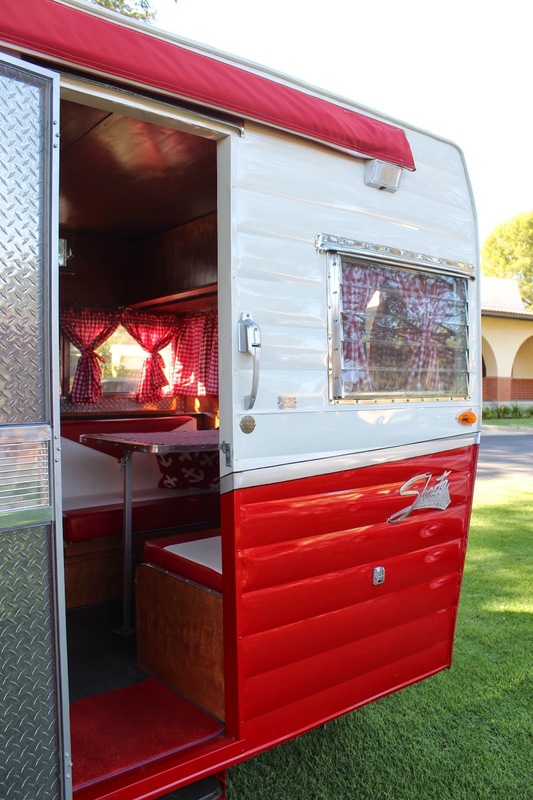 The '65 Airflyte trailer has been fully restored and painted in India Ivory and Victory Red to match the station wagon. The interior has also been restored to fit the 1950s-1960's era styling of the wagon. 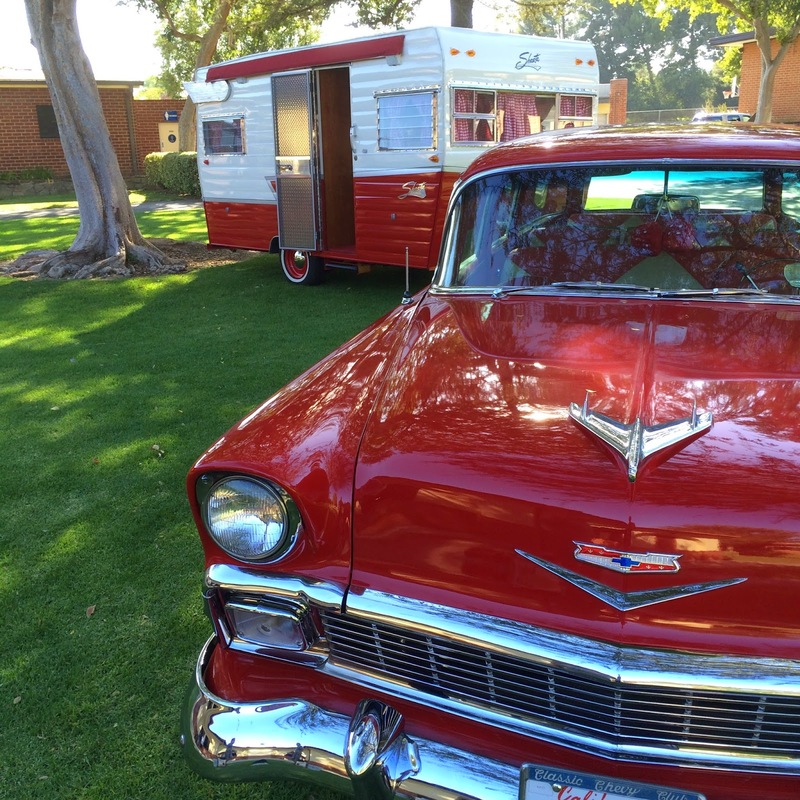 The '56 Chevy wagon still has the original Bel-Air interior. The station wagon has a 305 engine under the hood. For those of you who did not receive a copy of the catalog in the mail, below is the final product. Thank you to Alex, Sean and Mark Kleckner for assisting us with our annual holiday photo shoot. If you want to get a cool catalog like this from California Car Cover, please sign up for one on our website. Check back in the coming weeks for photo highlights from the final Pomona Swap Meet of the year, plus the Mooneyes X-Mas Party and much more.